The Fungal Spore Mouse is a breed of mouse that can be found in the Twisted Garden, and is known to drop Ber Essences, Graveblossom Petals, Red Dewdrops and Yellow Dewdrops as loot. You might not think the power to sprout mushrooms on command would be very impressive, but you'd be very wrong. Because with that power comes the ability to shoot acidic spores in a cloud with a wide radius. Fungal Spore mice have been found to be especially attracted to Duskshade Camembert and Lunaria Camembert, to the point that any other kind of cheese will simply not suffice. The Fungal Spore mouse is a typical member of the Living Garden mouse group. As such all power types except Hydro weapons are ineffective against it. 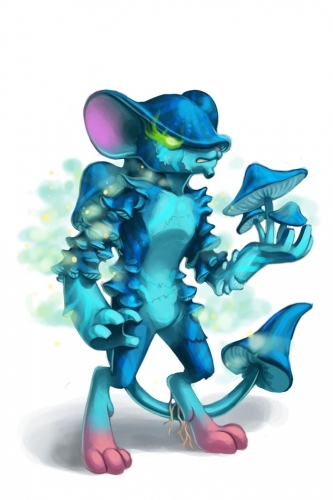 Fungal Spore mice were released on 14 November 2012, as part of the Living Garden update. This page was last edited on 27 June 2014, at 18:46.